Estonia’s Bronze Night, Odessa massacre anniversaries, kidnapping of Russian citizens by the U.S. — where is justice? April 27 marks 10 years since the tragic events known as the Bronze Night took place in Tallinn when the monument to the Soldier Liberator was dismantled and the nearby remains of the Soviet soldiers who liberated the Estonian capital from the Nazis were exhumed despite repeated protests from the Russian side and in outrageous violation of the norms of international law and basic human moral principles. The street protests of those who tried to protect the memorial were put down by force. That night’s events are still painful to remember for our compatriots and all those who care about the great exploit of the soldiers who sacrificed their lives to secure peace in Europe as it is today. Every year, hundreds of people come to pay tribute to the perished soldiers and the Bronze Soldier, which were moved to the war cemetery in Tallinn. The Immortal Regiment procession is organised, and a guard of honour protects the memorial. We are extremely concerned about the way the Estonian authorities are conducting the investigation into the murder of Dmitry Ganin, a Russian citizen who died in the protests of April 2007. After 10 years of inaction, the Estonian law-enforcement bodies are clearly seeking to drop the case, citing the expiry of its period of limitation. They are also ignoring the Russian Investigative Committee’s proposals to provide legal assistance. Such an approach is unacceptable. We demand that the Estonian side take all possible measures to identify the culprits behind the Russian citizen’s murder, and to hold them responsible. May 2 marks three years since the tragic events in Odessa, in which dozens of people died and hundreds were injured at the hands of thugs behaving like fascists. I regret to say that those responsible for that inhuman crime have not been punished yet and that the investigation has stalled in the face of the tacit indifference of the West and international human rights institutions. Just compare it with the storm of indignation, especially in EU parliamentary circles, that erupts over a visit by a European politician or a public figure or a member of parliament, for example, to Syria. A tidal wave erupts there. The man is humiliated to such a degree that he is ready to admit to anything, that he is an agent of every secret space agency, and to turn himself in to all authorities. He is utterly humiliated by the stream of media attacks. We have seen nothing of this kind over the past three years from the West in terms of demands to investigate the Odessa events. Let me repeat that this tragedy was not just a political rally, or the dispersal of demonstrators or mistreatment of people. People were burnt alive, and they were not servicemen but civilians who were defending their right to a dignified life. The inaction of the Kiev authorities and the pure connivance of their external sponsors are fuelling radical sentiments in Ukraine. It is troubling that more and more often we hear extremist forces say that they intend to disrupt memorial events, and make threats against those who have not forgotten the victims of the Odessa tragedy. Let me stress that the authorities, who have halted the investigation, are not the ones coming under pressure but rather those who witnessed the events and still care about the search for truth. We are calling on Kiev to ensure law and order in Odessa in the coming days and swiftly handle any provocations by nationalist radicals. Sadly, we are often right about these things. Once again we would like to warn our Ukrainian colleagues that condoning, inciting and nurturing radicals will come back to bite you hard. I will not even say “the day will come” – it has, in fact, already come. We were baffled to learn that the US authorities had decided against granting Russian citizen Konstantin Yaroshenko’s request to hand him over to Russia under the 1983 Council of Europe Convention on the Transfer of Sentenced Persons. As is common knowledge, our compatriot was abducted by US secret service agents in Liberia in 2010. He was forcibly and secretly taken to New York and sentenced to a 20-year prison term for alleged involvement in a drug transportation plot, of which there was no real hard evidence. Regrettably, Washington’ latest preconceived decision is evidence that the US authorities are still unprepared to remove numerous irritants in bilateral relations, which have been created by the Obama administration. We have to state that this approach will not contribute to normalising the dialogue between Russia and the United States. It is also plain to see that [Washington] is disregarding the humanitarian factors, given that Konstantin Yaroshenko is facing serious health problems, something that we have repeatedly indicated to the US side and did our best to enable this Russian citizen to be given the required medical aid, particularly when his health deteriorated. As is only natural, we will continue to insist on this Russian citizen being brought home. We will work actively to see that Konstantin Yaroshenko receive the medical aid he rightly deserves, of which he is deprived in the US prison. We intend to continue taking all possible steps to defend his rights and legitimate interests. On April 21, a Washington district court sentenced Russian citizen Roman Seleznev to 27 years imprisonment. He was accused of wire fraud and stealing and selling credit card data. First of all, we emphasise again that Roman Seleznev was illegally and forcibly transported from the Maldives in 2014 by US law enforcement, which actually amounted to the kidnapping of a Russian citizen. We think that the US actions of this kind are a gross violation of international law and demand that this criminal practice be immediately discontinued. It is also clear that the US justice failed to take into account Seleznev’s acknowledgement of his guilt and his readiness to cooperate with the investigation. Neither were the humanitarian aspects of the case taken into consideration: he is a disabled victim of a 2011 terrorist attack in Morocco and has to take medication and remain under the care of physicians. His defence attorney is planning to appeal. The Russian Foreign Ministry continues to track events involving Roman Seleznev and take the necessary steps to render him consular and legal assistance. As deputy speaker, Parubiy has been welcomed into Canada and the US, where he is begging these countries to send lethal weapons to Ukraine. Lethal arms that will be used in the continued military onslaught against the Donbass. Parubiy is now due in the UK to speak with government officials and think tanks. Solidarity with Antifascist Resistance will organise a demonstration outside the Ukrainian Cultural Centre in Holland Park where he is due to speak on 23rd October at 7pm. We call on the British government to ban him from entering the UK. NO PASARAN! NO TO UK LINKS WITH UKRAINIAN FAR-RIGHT! In 1991, Parubiy founded the Social National Party of Ukraine together with Oleh Tyahnybok (the current leader of the far-right Svoboda party). 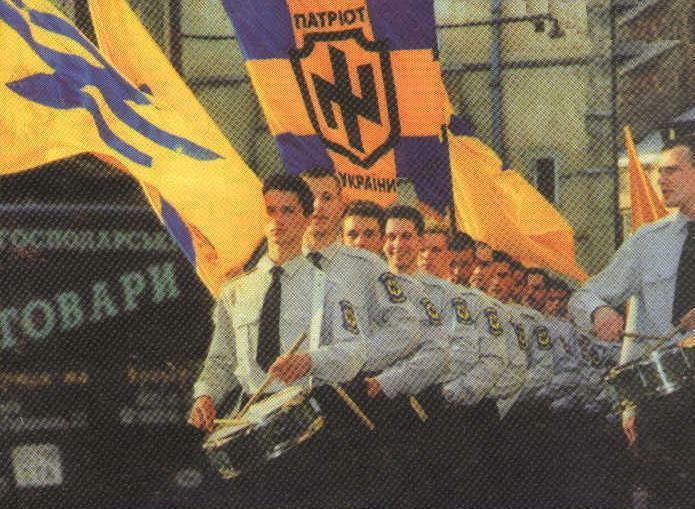 The SNPU symbol, a modified nazi Wolfsangel, later became the symbol of the neo-Nazi Azov Battalion. The ideology of the SNPU was radical nationalism and neo-Nazism. 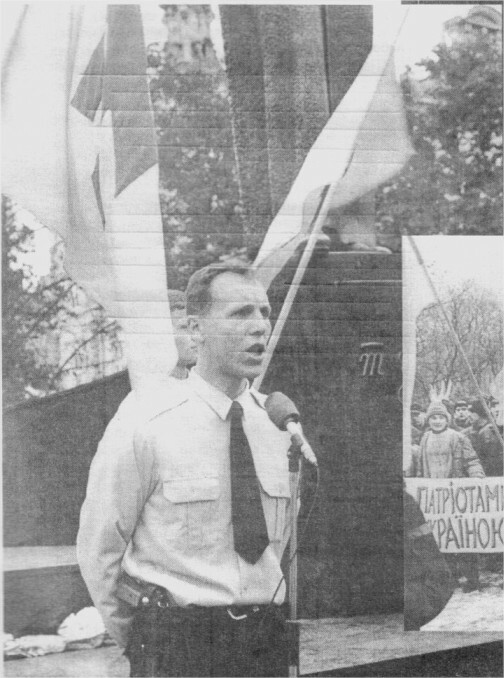 In 1998-2004 Parubiy was the head of paramilitary youth wing of Social-Nationalist Party ‘Patriot of Ukraine‘, which existed until December 2014 when it joined the Right Sector. The first Congress of the “Patriot of Ukraine” was held in Lviv on 12 December 1999 where it was officially adopted by the Social-National Party of Ukraine (SNPU) as its paramilitary youth wing. In the evening, around 1500 members of the SNPU and the “Patriot of Ukraine” staged a torchlight demonstration in the city. The first leader of the organization, Andriy Parubiy, established a long-lasting tradition of torchlight parades, which became an organizational trademark. It was described as having racist and neo-Nazi political beliefs. Ukrainian anti-fascists are calling on people around the world to mark May 2 as a day of commemoration of those who were killed in the trade union building in Odessa. The organizers of the massacre were radical Ukrainian nationalists and fascists who support the regime established in the Kiev after the coup in February 2014. Their opponents were the participants of the Antimaydan movement opposed to Ukrainian fascism. They belonged to different political tendencies, but opposition to Ukrainian fascism united them. It was they who were the main victims of the massacre on the May 2. Fleeing from the crowd of aggressive and armed fascists which greatly outnumbered them, the Antimaydan activists tried to take refuge in the House of Trade Unions located near their camp. They were largely without weapons, as they consistently preferred peaceful forms of protest. The enemy attacked the House of Trade Unions with Molotov cocktails, igniting a fire that caused many of those inside the building to flee outside. There, angry Ukrainian fascists beat and killed them. Others who observed this remained inside until they either burned to death, suffocated or jumped out of windows to their deaths. Others who remained inside were hunted down and murdered in cold blood. Local fire service deliberately did not go to the assistance of the desperate people and when it finally arrived, the fascists did not let the fire trucks or firefighters approach the burning building. The ruling government of Ukraine is doing everything to hide and distort the truth about this crime. The official list of dead people has not been published yet. The results of forensic examination of the causes of deaths are classified and were not disclosed until recently. None of the perpetrators of the massacre has been arrested; the state prosecutor’s office deliberately ignores numerous videos proving their guilt. Instead, people who tried to defend the House of Trade Unions have been arrested and put on trial. Though the investigation found no evidence of their guilt, the court refuses to set them free. Official propaganda since the day of tragedy has spread lies like “the House of Trade Unions was not protected by people from Odessa but by citizens of Transnistria and Russian saboteurs”, calls these people terrorists and separatists even though the leaders of the Odessa’s “Antimaydan” never called for the separation of the Odessa region from Ukraine. But various supporters of this Kiev regime replicate this lie all over the world. The Odessa tragedy is just one act in the civil war the Kiev fascists launched last spring against its own people that. This is not the only event of its kind. The atrocities of the fascists on May 9, 2014 in Mariupol, massive bloodshed in the Donbass, sadistic treatment of war prisoners, deliberate destruction of vital facilities in the Donbass, the recent excesses of Ukrainian soldiers in Konstantinovka (Kostyantynivka) – all of them are the links of the same chain. This is a manifestation of the bloody totalitarian nature of the regime in Kiev, established in the heart of Europe with the blessing of western political leaders. But the Odessa massacre became a symbol of these atrocities. In Odessa, the Kiev regime’s political opponents asserted their own rights without weapons, by peaceful means and they were ruthlessly suppressed with astonishing cruelty and cynicism. The task of all progressive forces of the world is to demonstrate their condemnation and rejection of such methods. The Kiev regime wants to forcibly impose on the entire population of Ukraine its system of values which totally rejects the Soviet period in the history of Ukraine. 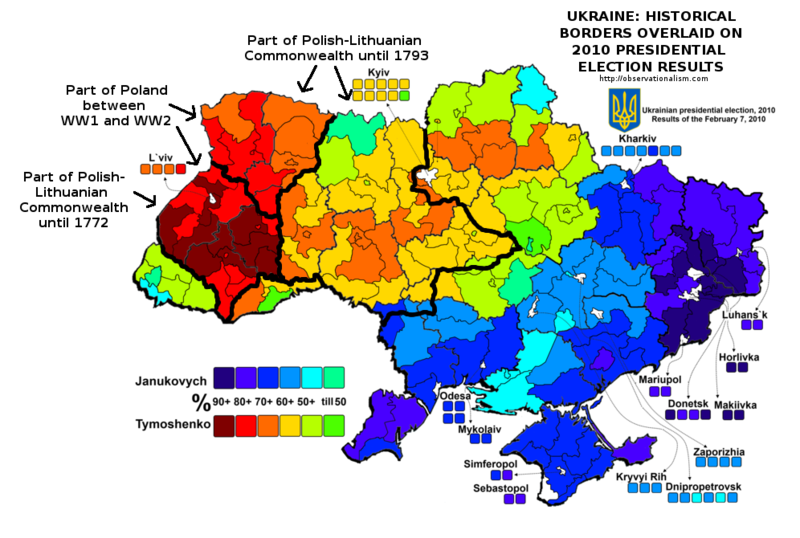 It is based on the traditions of Ukrainian integral nationalism, which is the local Ukrainian variant of fascist ideology. These ideas of integral nationalism inspired such figures as Stepan Bandera. For a significant part of Ukrainian society, such attitudes are unacceptable. That is why opposition appeared. Despite all the repression, people have been fighting against the reactionaries and actively looking for an alternative. But the forces of resistance in Ukraine are split, and some of them are not guided by consistently democratic principles. Some of them receive help from Russian nationalists and therefore think that the alternative to Ukrainian fascism is Russian nationalism. But this is wrong and a dead end road. Therefore, the solidarity of international left forces with the liberation struggle against the Kiev regime will help the people of see they have friends and strengthen the democratic tendencies in the camp of resistance. Finally, solidarity of leftist and internationalist forces is important not only for Ukraine. Now we see the rise of right-wing reactionary movements around the world. In many European countries, neo-fascists are growing in popularity, the youth are joining their parties, and they are gaining more and more votes. Totalitarianism has intensified everywhere and gone on the offensive. The civil war in Ukraine is just one of many episodes of offensive of international reaction forces. But this episode is very revealing. Ukraine is a European country and it in this European country that for the first time in the 21st century that fascists have entered a government while fascist paramilitaries have received legal status in the army and other state authorities. We can resist this attack on our principles and values together, combining our efforts all round the world. Therefore, we propose to make May 2 a day of international solidarity in defense of democracy and internationalism in Ukraine. To this end, we urge the leftist forces around the world to hold in early May actions of solidarity with the liberation struggle of the working masses of Ukraine. This can be a picket, a march, a meeting, a round table and any other action which would be considered appropriate by activists not indifferent to the problems of Ukraine. From our side, our initiative group will contribute to the dissemination of information about these actions in the media. Ukraine ‘disappears’ regime opponents – where are Svetlana Naboka and Marina Zhavoronkova? In Odessa — the same city where the Ukrainian civil war started on 2 May 2014 with a massacre of opponents that had been carefully planned by a team connected to the U.S. White House— there are reported to be two bloggers for the “Voice of Odessa” political site who were seized by the Security Bureau of Ukraine on April 7th, and whose “whereabouts are unknown.” This report appeared in the local Odessa News. 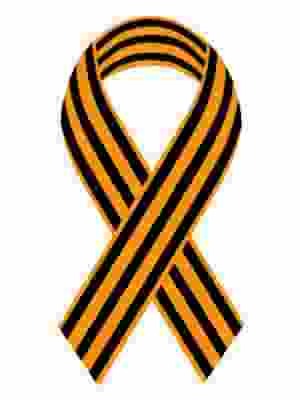 The “Voice of Odessa” site was formed right after the massacre, in order to get an independent investigation and prosecution of the perpetrators of that massacre, in which officially 46 people were burned, shot and clubbed to death, but unofficial estimates run over 200, all victims who have not been heard from since, and some of whom had allegedly even been abducted from hospitals after the massacre. The report on these disappearances says that the names of the missing bloggers are Svetlana Naboka and Marina Zhavoronkova, and that both women were seized at around 10 in the morning of April 7th. Furthermore, “one of the detainees seized during the search is now lacking her home computer, telephone and other personal belongings,” which presumably, were also taken by the state security force. The coup-established regime was not ‘the constitutional order’ in Ukraine. It overthrew the constitutionally elected President, and violated the Ukrainian constitution. 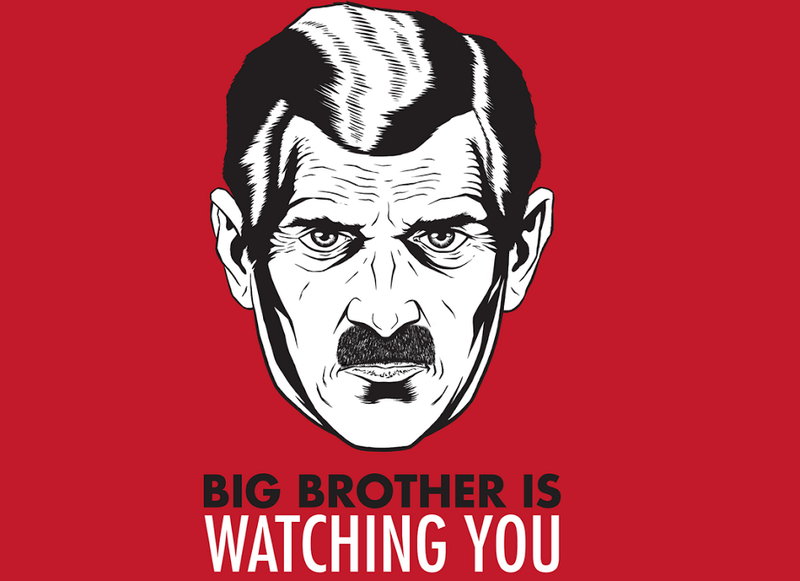 However, “Big Brother” is based upon the Big Lie. So, it’s ‘the constitutional order.’ A good videoshows the coup being carried out, but it actually started much earlier, in Spring of 2013. The same videographer also did a good videoof the Odessa massacre. Resistance to America’s Russia-hating Ukrainian regime is increasing, and it’s not only in Donbass — the region that has formally declared its separation from Ukraine, after Viktor Yanukovych, who had received 90+% of the vote there in the last democratic Ukrainian election, 2010, was overthrown by Obama. For example, barely more than three weeks ago, on March 12th, a column of Ukrainian tanks on trucks was blocked by overtly pro-Russian Ukrainians, who even showed the pre-communist (1710/1721-1858 &1883–1917/1918) flag of the then-single nation of Russia (from the time when Ukraine was part of Russia), which was until the Bolshevik Revolution. The video of this event, the courageous blocking of those trucks, was headlined “People stop military, sent by Kiev government, at Volnovaha.”The people who were blocking it are visible in the video carrying the three-striped — white, blue, and red — flag of the Russian Empire. Russian Television on March 16th headlined about this, “Defensive blockade: Activists stop Kiev’s military trucks heading to Russian border,” and reported that, “Activists in eastern Ukraine in the Donetsk and Lugansk regions [but not in the part that’s in liberated Donbass] are blocking columns of heavy military equipment heading from Kiev to the border with Russia.” Ukraine is massing tanks on the Russian border to either invade Russia (which Ukraine repeatedly has threatened to do) or else to defend against a Russian invasion (which Russia has not threatened to do). These truckers encountered such hostility that they backtracked and took an alternate route (presumably more northerly). Officially in Ukraine, all opponents of the Obama regime there are ‘terrorists.’ (Thus, the government’s constant bombings of them are in an ‘Anti Terrorist Operation’ or ATO.) The Obama team told its people to use this terminology because gullible individuals anywhere will oppose anyone who is merely labeled a ‘terrorist’ — even when the actual terrorism is on the part of the U.S. Government and its installed regimes, such as is the case in Ukraine. The United States has become George Orwell’s Oceania. He got all the basics right. He is already the modern Nostradamus. However, Big Brother, the U.S. aristocracy, isn’t publishing that fact. Now, why would that be the case? Publishing that fact would confirm that they’re collectively Big Brother. That explains why the Brookings Institution is urging Obama to bomb Donbass longer and harder, and why over 98% of the U.S. Congress are urging him likewise, even though over two-thirds of the U.S. public who have any opinion on the matter, are against it.. Obama, who did the coup, hasn’t pursued the extermination-program with the persistence that Big Brother demands. Big Brother demands more follow-through on his part. And, apparently, they’ll get it. Investigative historian Eric Zuesse is the author, most recently, of They’re Not Even Close: The Democratic vs. Republican Economic Records, 1910-2010,, and CHRIST’S VENTRILOQUISTS: The Event that Created Christianity, and of Feudalism, Fascism, Libertarianism and Economics. 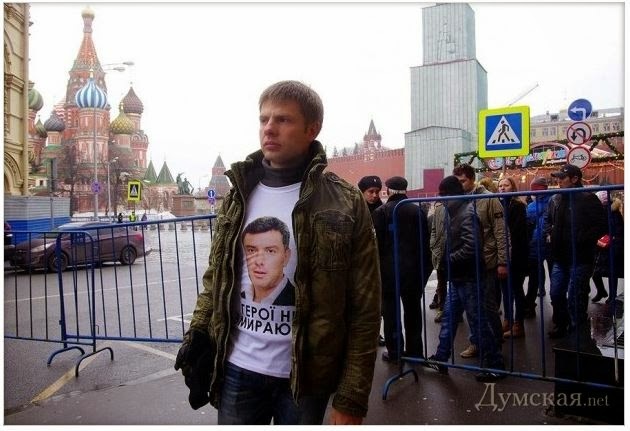 On the eve of the march to commemorate the murdered politician Boris Nemtsov, police arrested a Verkhovna Rada deputy Aleksey Goncharenko, according to RIA Novosti. He may become the defendant in a criminal case which Russia’s Investigative Committee launched in connection with the events in Odessa on May 2, 2014. Moscow MVD confirmed Goncharenko’s arrest. He will be transferred to the care of the investigators for processing. According to Interfax, the reason for his arrest has not been made known. On May 2, 2014, Right Sector nationalists and their supporters attacked the Anti-Maidan camp on the Kulikovo Polye, then set on fire the Trade Union House where the protesters took refuge. 48 people were killed, over 200 were wounded; those who managed to escape the fire were cruelly beaten by the nationalists. Ukraine’s investigation has not identified the guilty parties, even though it acknowledged it was planned. However, no nationalists were arrested. J.Hawk’s Comment: It’s not unprecedented for a Rada deputy to be held in a criminal case—Savchenko is also a Rada deputy, and there does not appear any prospect of her being released. The Odessa case is even more important to bring to a close-we’ll soon see whether Goncharenko is about to enjoy an extended stay in Russia. As the Ukraine crisis worsens, Official Washington fumes only about “Russian aggression” — much as a half century ago, the Tonkin Gulf talk was all about “North Vietnamese aggression.” But then and now there were other sides to the story – and questions that Congress needed to ask, writes Robert Parry. February 21, 2015 “ICH” – “Consortium News” – Many current members of Congress, especially progressives, may have envisioned how they would have handled the Tonkin Gulf crisis in 1964. In their imaginations, they would have asked probing questions and treated the dubious assertions from the White House with tough skepticism before voting on whether to give President Lyndon Johnson the authority to go to war in Vietnam. If they had discovered what CIA and Pentagon insiders already knew – that the crucial second North Vietnamese “attack” on U.S. destroyers likely never happened and that the U.S. warships were not on some “routine” patrol but rather supporting a covert attack on North Vietnamese territory – today’s members of Congress would likely see themselves joining Sens. Wayne Morse and Ernest Gruening as the only ones voting no. Bravery in hindsight is always easy, but things feel quite different when Official Washington is locked in one of its pro-war “group thinks” when all the “important people” – from government to the media to think tanks – are pounding their chests and talking tough, as they are now on Russia and Ukraine. Then, if you ask your probing questions and show your tough skepticism, you will have your patriotism, if not your sanity, questioned. You will be “controversialized,” “marginalized,” “pariahed.” You will be called somebody’s “apologist,” whether it’s Ho Chi Minh or Vladimir Putin. And nobody wants to go through that because here’s the truth about Official Washington: if you run with the pack – if you stay within the herd – you’ll be safe. Even if things go terribly wrong – even if thousands of American soldiers die along with many, many more foreign civilians – you can expect little or no accountability. You will likely keep your job and may well get promoted. But if you stand in the way of the stampede, you’ll be trampled. So, the choice often is to do the right thing and be crushed or to run with the pack and be safe. But there are moments when even the most craven member of Congress should look for whatever courage he or she has left and behave like a Morse or a Gruening, especially in a case like the Ukraine crisis which has the potential to spin out of control and into a nuclear confrontation. Though the last Congress already whipped through belligerent resolutions denouncing “Russian aggression” and urging a military response – with only five Democrats and five Republicans dissenting – members of the new Congress could at least ascertain the facts that have driven the Ukraine conflict. Before the world lurches into a nuclear showdown, it might make a little sense to know what got us here.